CW Arrowverse in Review: Is the Arrowverse Getting Worse? Justin, Ben, and Lo get together to review this year's slew of Arrowverse shows, including Supergirl, Black Lightning, Arrow, Legends of Tomorrow, and Flash, as well as the huge 4-part crossover Crisis on Earth-X which felt like its own show on top of it all. Needless to say, this universe might be bursting at the seams a bit these days. Support us on Patreon at just the $1 tier to receive the shows at least 5 days early! Join our Discord server to continue the discussion with us! And don’t forget to stop by our t-shirt store! Justin and Ben are joined by Lo this week to discuss Robert Redford's retirement, a surprising new Charlie's Angels cast, another Power Rangers movie, some ironic James Gunn news, the official casting reveal for the CW's take on Batwoman, and more! Can you FEEL the DC dominance this year!? This week Justin and Ben break down all the biggest news from San Diego Comic Con 2018, which was mostly dominated by DC this year, weirdly. 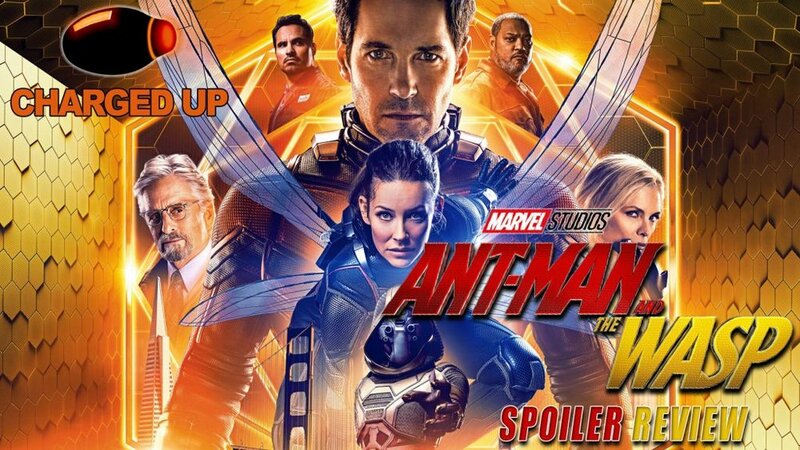 This week Justin and Ben shrink down to properly review the newest MCU movie starring our second favorite insect named superheroes!